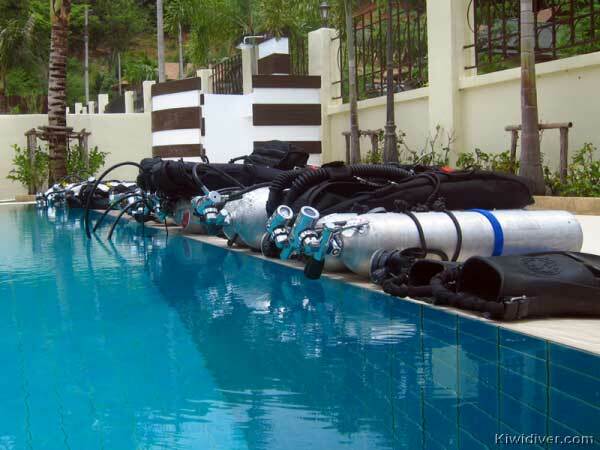 The PADI Tec Sidemount course can be combined with the PADI Tec Deep program. Although many people prefer to still do their technical training on back mounted doubles then do the PADI Tec Sidemount Diver course to give them the flexibility of diving either way. Sidemounts convenience for putting your cylinders on in the water makes it a popular choice for both cave divers and in open water environments when diving from small boats or long tails. 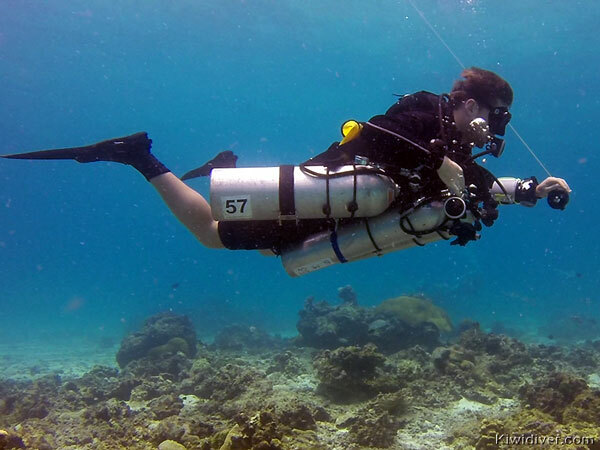 At Kiwidiver we focus on correct equipment configuration including both tec sidemount harness and cylinder set up. We look at various ways of mounting your cylinders and different bungee methods. Our goal is to give you a toolbox of options each with advantages and disadvantages so whatever diving situation you are in you can configure a solution that works for you with the equipment available. We have left-hand and right-hand cylinders both in S80 and S40 sizes and we stock many of the accessories you may want. 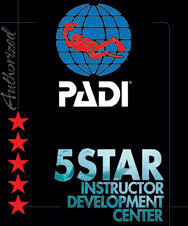 Certified as a PADI Advanced Open Water Diver or qualifying certification from another training organization. If you haven’t started your technical training yet then by doing the Tec Sidemount Diver course first you will progress through your PADI Tec Deep course on sidemount far more easily. 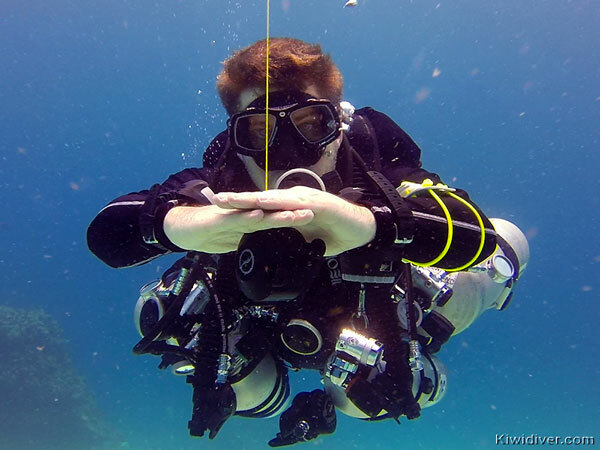 The skills you learn in the Tec Sidemount course will train you to handle multiple cylinders on a single dive. You will also be familiar with cylinder configuration and handling. You can also combine what you learn in the Tec Sidemount Diver course with other open-circuit courses that you take like Deep, Wreck or Self Reliant Diver. Do you have questions about the PADI Tec Sidemount Course?